Your Step-by-Step Plan to Get Rid of Debt and Become a Millionaire! Our NEW bundle is here! This exclusive bundle includes Dave’s #1 program, Financial Peace University, AND our brand-new book, Everyday Millionaires. This bundle will give you all of the tools you need to get rid of your debt and become a millionaire. 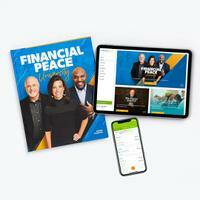 Order our bundle today and get Financial Peace University! With this program, you’ll learn the foundational principles you need to pay off debt, build wealth, and live like no one else. Dave Ramsey doesn’t want you to get out of debt for the sake of getting out of debt. Dave wants to help YOU get out of debt, so that you can build wealth, change your family tree and retire with dignity. Building wealth starts with becoming debt-free. Financial Peace University has helped over 5 million people learn how to dump debt, save big, and start investing in their future . . . for generations to come. 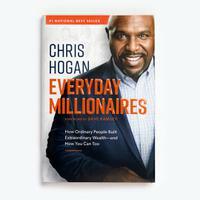 Everyday Millionaires is our brand-new book that will show you how ordinary people built extraordinary wealth - and how you can too. Our new book is based on the largest millionaire study EVER that our team conducted with 10,000 U.S. millionaires and here’s what we learned from them: Getting out and staying out of debt was KEY to building wealth.You don’t have to live paycheck to paycheck. And you shouldn’t settle for normal because YOU have the power to do extraordinary things with your money. Millionaires follow the principles we teach in Financial Peace University. You don't need luck to become a millionaire—YOU JUST NEED A PLAN. Dave Ramsey and his teaching team will walk you through the basics of budgeting, dumping debt, planning for the future, and much more. 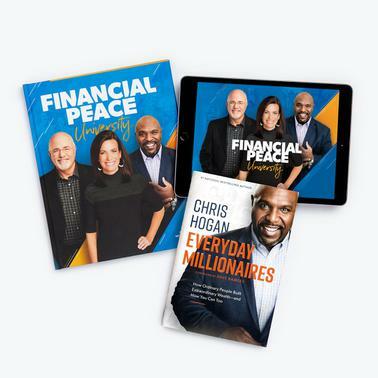 Financial Peace University includes nine video lessons featuring Dave Ramsey, Rachel Cruze, and Chris Hogan. Track spending and save money with EveryDollar Plus, our premium budgeting tool designed for Financial Peace University. 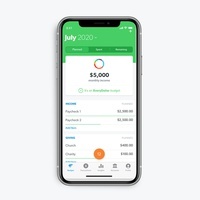 Connect your budget straight to your bank, sync across multiple devices, and enjoy anytime, anywhere access. **Available from within Financial Peace University Online Access.